I am not a drinker. At all. I actually am really allergic to alcohol and have never managed more than a glass of wine in my life. So why would I make alcoholic popsicles? One of the first recipes I ever posted on my blog was for a blackberry sage cooler and I got a ton of comments requesting an alcoholic version. 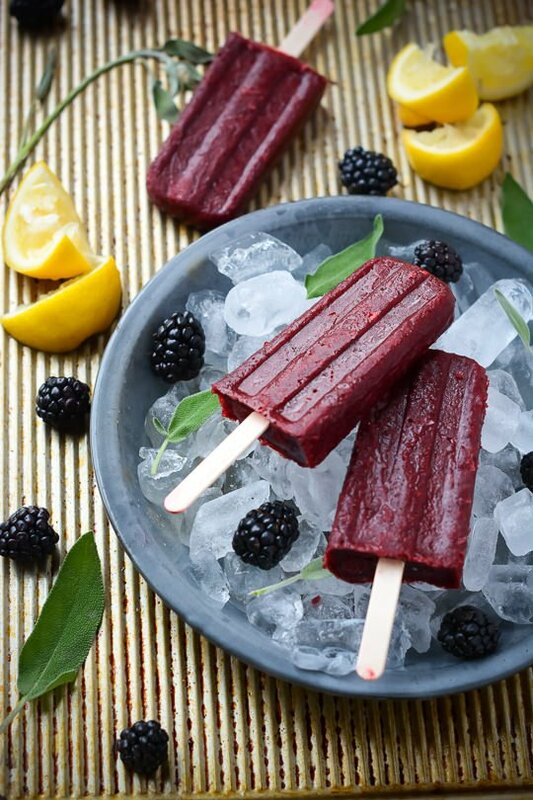 So I thought a cocktail version in popsicle form would be a great place to see if I could indulge a little without the fear of breaking out in hives. I was really happy with the way these turned out. 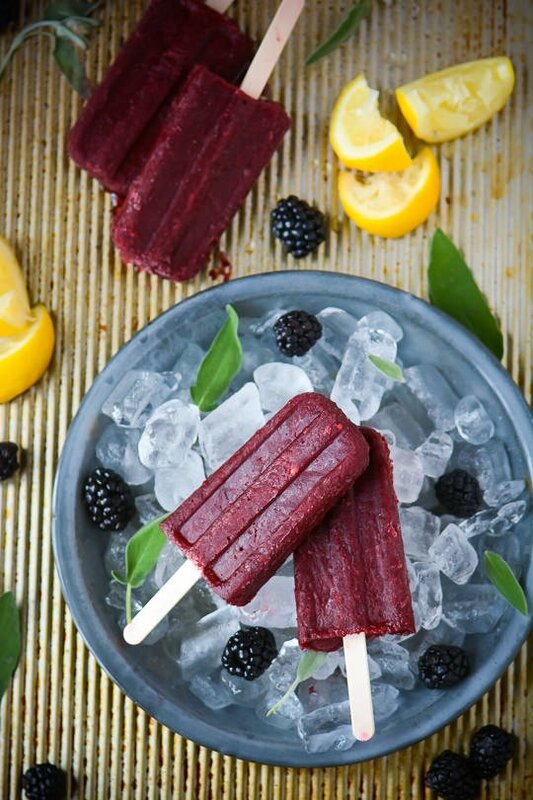 Adding alcohol to popsicles will give them a softer texture than you are used to since the alcohol has a lower freezing point. These are really refreshing and have just enough booze in them to give them a little kick. You could easily make these into a virgin popsicles by replacing the vodka with an equal amount of sparkling water. Now that the weather is starting to warm up I can’t wait to experiment with some other grown up versions of my favorite treats! If you don't mind seeds in your popsicles you can easily skip the straining process. For a non-alcoholic version substitute an extra ½ cup of sparkling water for the vodka. In a small saucepan combine the sugar, water and sage leaves. Bring to a simmer and stir until the sugar is dissolved. Remove from the heat and let cool completely. 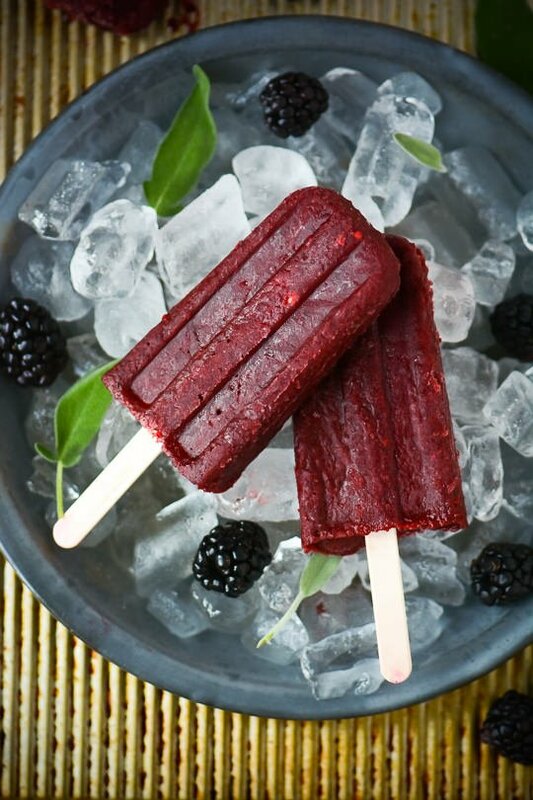 If using frozen blackberries let them sit at room temperature until they have thawed. Combine the blackberries, lemon juice, vodka, sparkling water and ½ cup of the sage simple syrup in a blender. Process until the mixture is smooth. If desired strain the mixture through a fine mesh sieve. Pour the mixture into popsicle molds and freeze for 30 minutes. Insert sticks into the molds and freeze until firm, at least 4 hours. To unmold place the mold in warm water for 20-30 seconds to help release the pops. 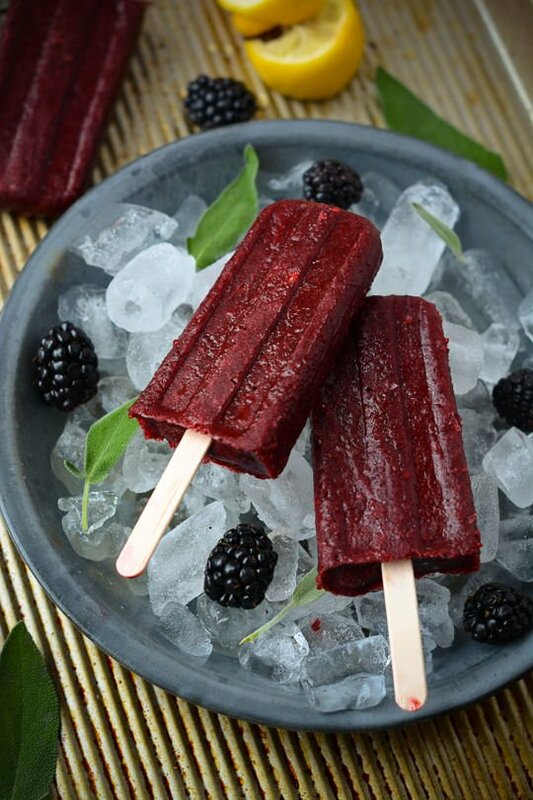 I’m always up for a boozy popsicle (well, actually, a boozy ANYTHING) and these look great, blackberries are the best!